An important piece of evidence against the Yorta Yorta in their 1998 native title claim was Edward Curr's book Recollections of Squatting in Victoria. In this book, Curr observes many traditions and cultural practices of the Yorta Yorta people during the late 19th century. I have often seen them, as an instance, land large quantities of fish with their nets and leave all the small ones to die within a yard of the water. Edmonds, P and Furphy, S (eds) 2006, Rethinking colonial histories: new and alternative approaches, Dept. of History, University of Melbourne, Parkville, Vic. Settlers often misinterpreted what they saw of Aboriginal rituals because they didn't understand the spiritual, environmental and cultural beliefs behind them. 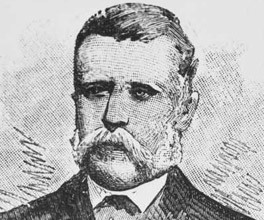 Justice Howard Olney argued that many of these traditions were no longer being practiced by the Yorta Yorta people and, as such, they could not prove a continued connection with the land. While Curr is regarded as a reputable source, there were some problems with the way his writing was interpreted by the court. I recollect on one occasion a certain portion of country being pointed out to me as belonging exclusively to a boy...I offered him...a stick of tobacco for the fee-simple of his patrimonial property, which, after a short consultation with his elders, was accepted and paid. Curr interpreted the gift of a cigar as payment for land, but the Aborigines with him probably interpreted it as a request for safe passage over their land. Another issue with Curr's observations is that almost 30 years had passed between the events and the time of writing, and that when he was writing Recollections, he was a member of the Board for the Protection of Aborigines. As such, his work would need to be considered within the context of the Board's often difficult relations with Indigenous Victorians. Ultimately, the Yorta Yorta people had their claim dismissed because they did not conform to the image of their culture described by a 19th century British squatter. However, their claim brought Native Title back into the national consciousness, and highlighted possible flaws in the Native Title Act. The odds were against an Aborigine trying to fight a settler in court. But Tommy McRae believed he had a right to fair treatment. It only addressed part of the problem, but to Australia, the 1967 referendum represented a ‘fair go' for Indigenous people. Historians are beginning to piece together the role of Indigenous Australians in the Victorian gold rush.